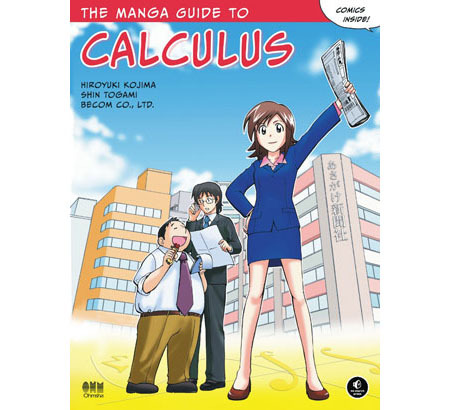 In The Manga Guide to Calculus, you’ll follow along with Noriko as she learns that calculus is more than just a class designed to weed out would-be science majors. You’ll see that calculus is a useful way to understand the patterns in physics, economics, and the world around us, with help from real-world examples like probability, supply and demand curves, the economics of pollution, and the density of Shochu (a Japanese liquor). Whether you’re struggling through a calculus course for the first time or you just need a painless refresher, you’ll find what you're looking for in The Manga Guide to Calculus.